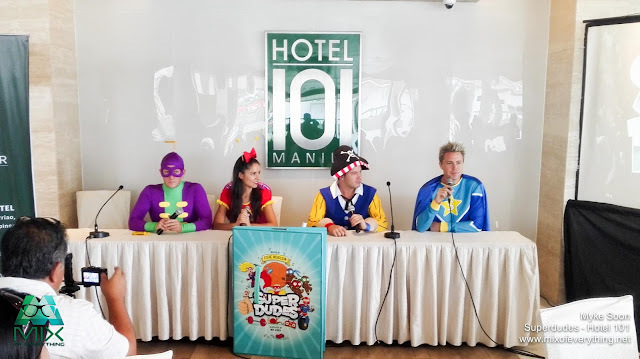 Superdudes now in the Philippines! - Hello! Welcome to my blog! 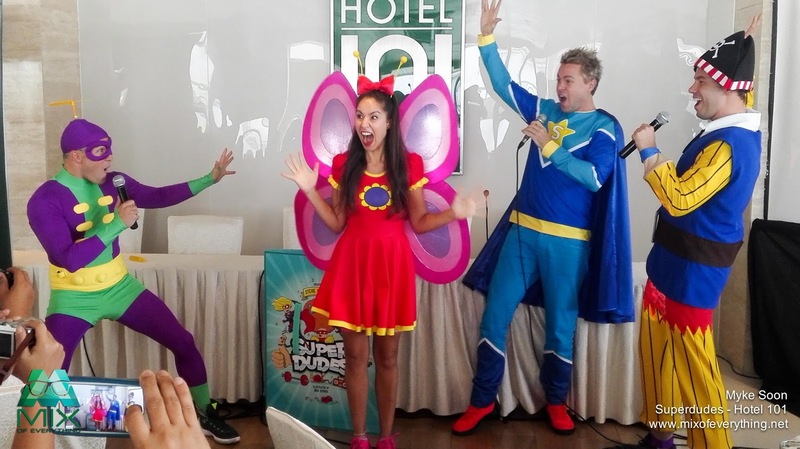 Led by the Hi-5 veteran Stevie Nicholson, Superdudes is now in Manila and has announced the launch of a brand new live production featuring the best loved characters from his book. 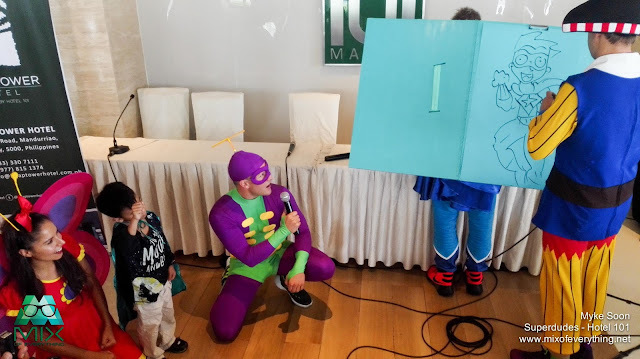 Superdudes to those who don't know is a book that introduces different fun character for kids led by Super Stevie and his best friend, illustrator Nick Rudich, aka Pirate Pencil. Focusing on capturing the imagination of children and that anyone and anything can be super! 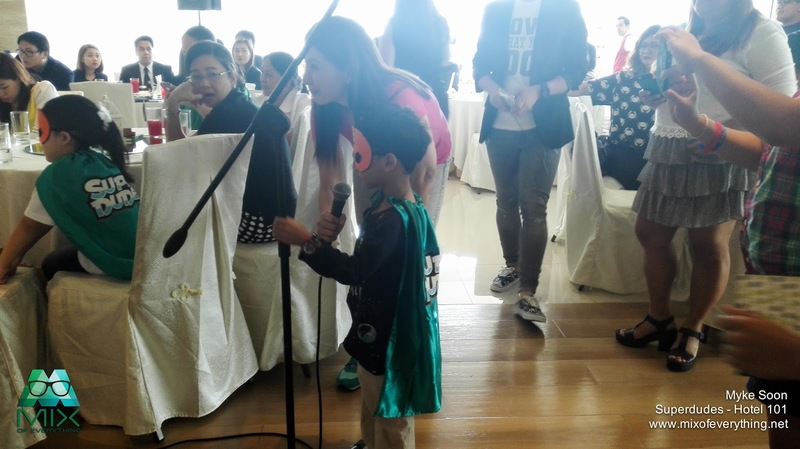 The book did a soft launch in October 2015 and has received remarkable feedback and liking from boys and girls around the world. 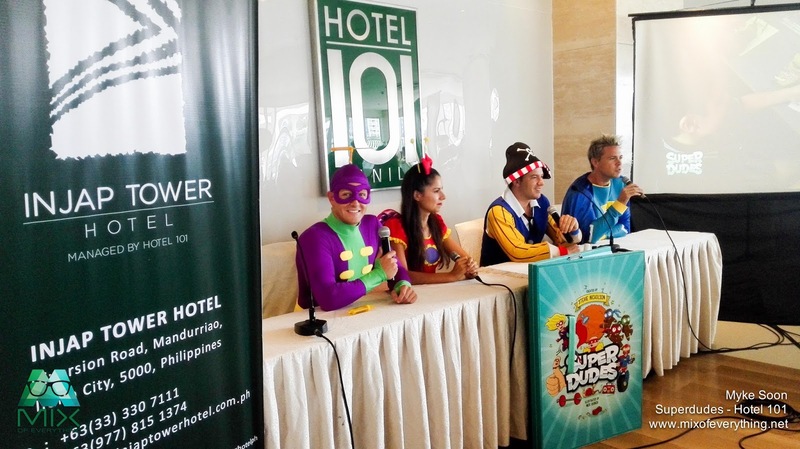 Now, the Superdudes team are here in the Philippines for the World Premiere of Superdudes. Super Stevie, Pirate Pencil, Bubble Trouble and Flutterby was present during their press conference held at Hotel 101 Manila in Pasay City and parents with their kids and fans of the book also joined in to get a glimpse of the Superdudes. 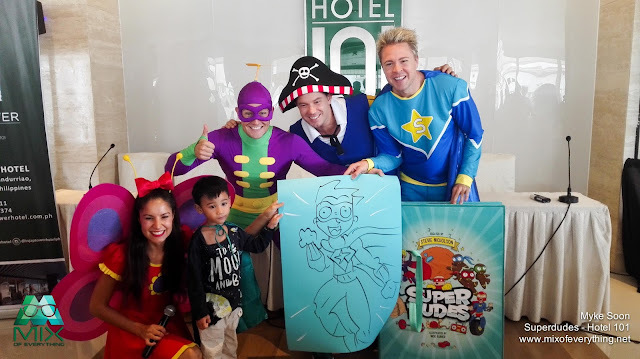 The Superdudes are scheduled to make live appearances in major malls throughout the country to treat young fans to unique, interactive activities like creative workshops and story telling sessions in addition to the usual song and dance performances. 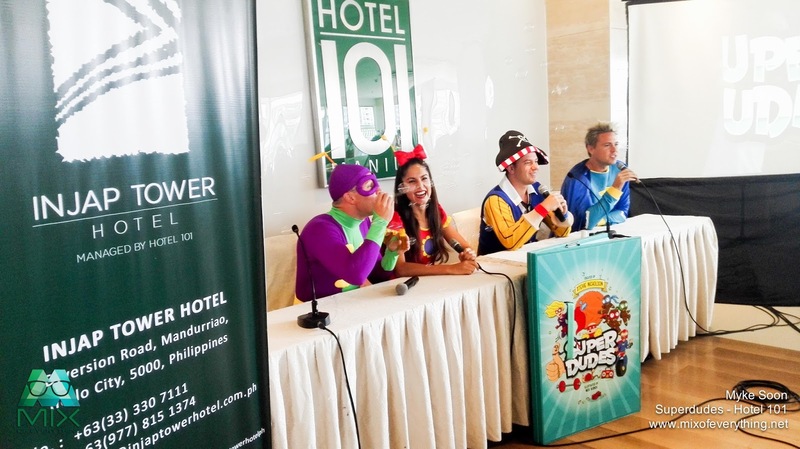 When asked what to expect during their show, Superdudes shared "The show is an incredible mix of music, dancing, games, magic and crowd participation sprinkled with a dash of super,"
They will be touring on the following locations April 2 (Saturday) Lucky Chinatown Mall, April 3 (Sunday) Venice Piazza at McKinley Hill, April 8 (Friday) SM Jazz, April 9 (Saturday) SM Megamall, April 15 (Friday) SM Light, April 16 (Saturday) Century Mall, April 17 (Sunday) SM Iloilo. During the interview, we asked why did he decide to launch their World Premier of the Superdudes stage show here in the Philippines. 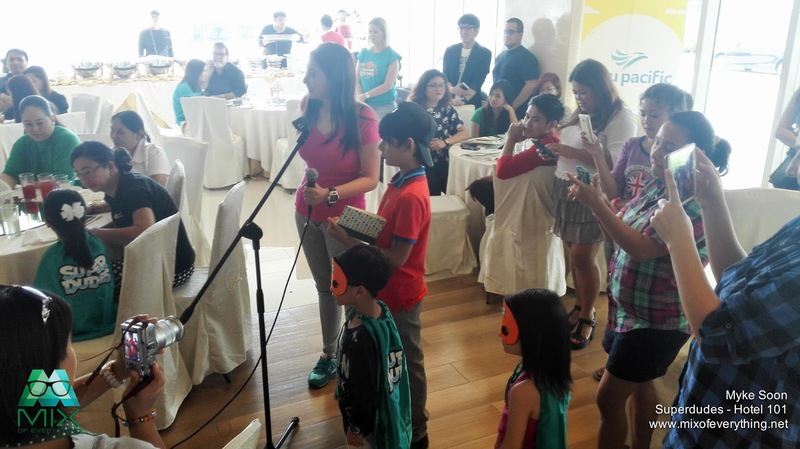 "The Philippines has the best fans in the world," exclaims Stevie. "I just love coming here and the reception has always been tremendous. 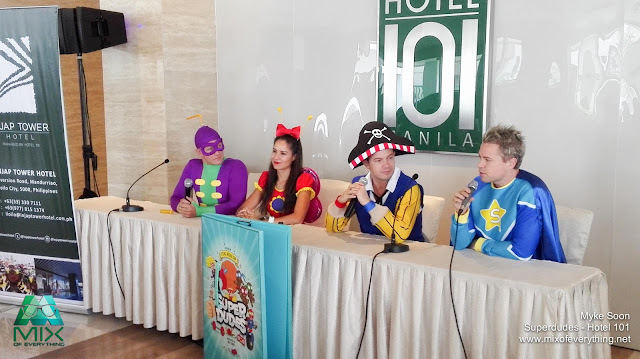 I have a really lovely relationship with the Filipino people so there is no other place in the world I could think of to launch Superdudes than right here"
During the interview, the Superdudes also stressed that everyone is super in their own way. "Superdudes is about more than just a book, it represents children and families an opportunity to connect with someone that a generation has grown up with in a way that they haven;t been able to in the past," added Nicholson. If you want a free autographed Superdudes book, just stay overnight on any of the following properties. 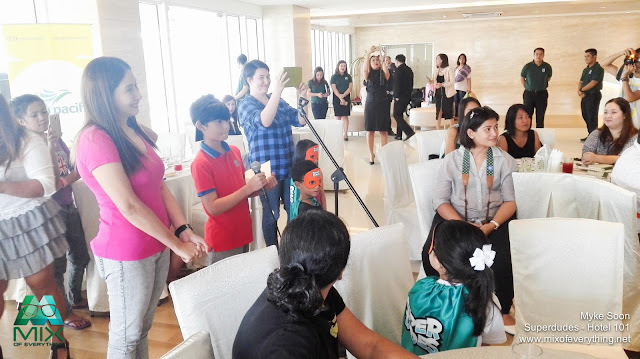 InJjap Hotel Iloilo for only P 2,300 nett, Jinjiang Inn Ortigas for only P 3,000 nett, Jinjiang Inn Makati for only P 4,000 nett, Hotel 101 Manila for only P3,800 nett. 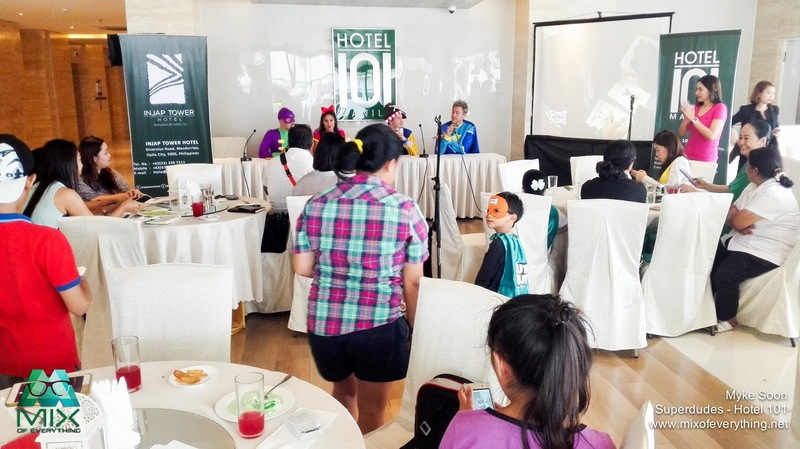 Inclusions: Overnight room only accommodation for 2 adults and 2 kids with a set breakfast for 2 and an authographed book by the author. Valid for stays from April 1 to May 31, 2016.